The Memorial Candle Program has been designed to help offset the costs associated with the hosting this Tribute Website in perpetuity. Through the lighting of a memorial candle, your thoughtful gesture will be recorded in the Book of Memories and the proceeds will go directly towards helping ensure that the family and friends of Genevieve Lofaro can continue to memorialize, re-visit, interact with each other and enhance this tribute for future generations. 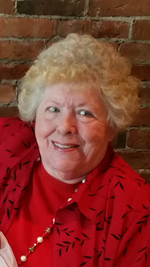 Genevieve Lofaro, 85, of Pittsfield, MA, passed away August 17, 2018 at home. Born on April 24, 1933, the daughter of the late Charles and Norma Williams Cassar, she was educated in New York schools. She married John P. Lofaro on September 15, 1951, they would have celebrated their 67th wedding anniversary next month. Mrs. Lofaro was primarily a homemaker, but worked for many years selling Avon. She volunteered as a baker for many years at the VFW in New York. She leaves behind her loving husband John Lofaro of Pittsfield; her children, Lucille Catan of Pittsfield, John Lofaro, Jr., of Indiana, Michelle Angora of Pittsfield, and Jeanette Lofaro of Cheshire; her sister Muriel Natale of Florida, and brother Charles Cassar of Florida; five grandchildren, Bob, Corinne, Mike, Anthony and Taylor; four great-grandchildren, Crysta, Anna, Chrissy, and Madyson; as well as her loving nieces and nephews of New Hampshire. She was predeceased by a grandson Jonathan Catan and her brother Vito Tambone. To send flowers to the family of Genevieve F Lofaro, please visit our Heartfelt Sympathies Store.